Ricardo Martinez obituary. Carnes Funeral Home. 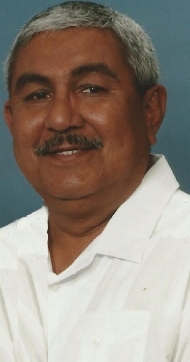 Ricardo “Richard” Martinez, age 66, of Galveston, Texas, passed away peacefully while surrounded by his beloved family on March 23, 2016. A memorial service will be held at 4:00 p.m. on Saturday, April 2, 2016 at Carnes Funeral Home, 3100 Gulf Fwy, Texas City, Texas. Deacon John Carrillo of St. Mary’s Church will be officiating. Interment will be held, on a later date, at Arlington National Cemetery where he will receive full military honors. Richard was born in Galveston on March 12, 1950. He graduated from Ball High School in 1968 and then enlisted in the United States Army where he served as a Combat Medic with the 101st Airborne. He earned a Bronze Star “for heroism in ground combat against a hostile force in the Republic of Vietnam” in 1970. Richard was married to Argelia Martinez on December 26, 1971; they were married 44 years. Richard worked as a Boilermaker for Monsanto/Sterling Chemicals for 23 years, but received the most enjoyment after his retirement, when he became a school bus driver for Clear Creek ISD. He enjoyed spending time with his family, especially his grandchildren and great nieces and nephews. Richard is survived by his wife Argelia, his son Ricardo and wife Cheryl, his daughter Adriana, “Ana,” and husband Eloy, his “other son” Loranzo “Junior” Salinas, his grandchildren, Alyssa, Jasmine, Matteo, Loran, Joey, Austin, and Adrian. He was also eagerly anticipating the birth of his first great-granddaughter Adalyn. Richard is also survived by his sister Janie Beltran, and brothers Pete Martinez and Ernesto Martinez, along with numerous nieces, nephews, great nieces and nephews and many other loving family and friends. Richard is preceded in death by his mother Guadalupe Torres, Father Pedro Martinez, Aunts and Uncles, Aurora Torres, Juan Torres, Jacinto Torres, and Fernando Torres. Richard’s family would like to thank and acknowledge Dr. Richard E. Harris II; Dr. Norman M. Farr; Dr. Julian Fraga; Residents - Jennifer Rivas and Anju Abu; and the entire nursing staff on Unit 7A at UTMB.